This guest post by Rob Doole tackles the important topic of hearing loss and young children. Rob is the director of Allearplugs.com. Music can be very beneficial to young children, allowing them to develop their sense of creativity and melody while generating memories that will stay with them forever. I always remember the songs I sang at school and appreciate how they developed my love of music that remains today. However, musical memories are not always fond; young children exposed to high noise levels can develop hearing problems such as tinnitus during their youth. Children’s hearing is highly sensitive and vulnerable to harm from loud noises and damage to their ear drums at an early age will inhibit their development later on in life. It’s therefore important that you take some steps to protect and educate your children about the dangers of loud noise from music. Sound is measured in decibels (dB), with 85db being the threshold for safe or dangerous noise; to put this in context, playing a piano is around 70dB, and within the safe limits; listening to a live violin performance, at 92dB, would be above the threshold. 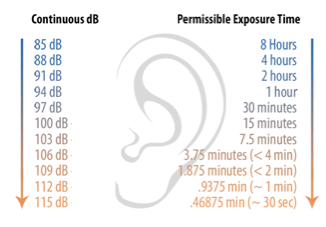 Exceeding the threshold for ‘dangerous’ noise is possible, provided the time frame of exposure is within safe limits, as outlined below from dangerousdecibels.org. Long periods of loud noise can be just as damaging as quick, sudden bursts and it’s important that you take precautions to reduce the likelihood of both exposures from occurring over time. 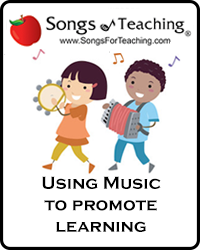 Most of your child’s music lessons or home practice is likely remain within safe thresholds, particularly when lessons only last for up to an hour at a time. However, as your children get older and want to try new instruments, these thresholds are likely to be exceeded; for example, the violin (86dB), flute (103dB) or cello (110dB) are all loud. Other musical activities, like an all-day family music festival, could also create risks, with noise reaching 110dB very close to the stage (safe for under two minutes); my advice here is to use hearing protection, Edz Kids Ear Defenders (http://www.allearplugs.com/children/kids-ear-defenders/) work really well, while moving as far away from the speakers as possible and taking regular breaks. With new technology highly focused towards high-volume, personal ‘in-ear’ devices like MP3 players, it’s also really important that you educate young children about their dangers as soon as possible. On their loudest settings, MP3 players can reach sound ratings of up to 115dB, which can be seriously detrimental over a sustained period of time. Make sure music is turned down below 85dB for longer periods, or limited to very short time time frames above this threshold. It is often the sustained, lower-level sound exposures which have the potential to cause ‘unseen’ damage in children, so be sure to monitor their exposure as their enjoyment of music grows. Rob’s company, Allearplugs.com offers the Edz Kids Ear Defenders as well as a full range of options for children’s hearing protection, check them out at http://www.allearplugs.com/. 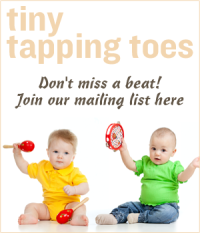 This entry was posted in Babies and Music, Family Fun, Music and Hearing, Special Needs/Kids of All Abilities, Uncategorized and tagged Allearplugs.com, babies and hearing loss, children and hearing loss, children's hearing protection, damaging noise levels, Edz Kids Ear Defenders, Rob Doole. Bookmark the permalink. 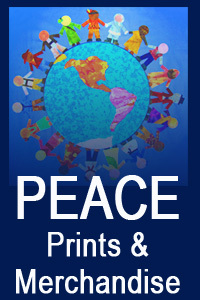 Hi D. Lots of great info here! My family and I live in a very quiet neighborhood, very residential-like, and you barely see cars or other people. The windows have double panels to protect us from the cold, so it is very quiet all the time in our house. When we visit family in Rio de Janeiro, Brazil, my kids go nuts with how loud it is! Almost anywhere you go, it is loud. If you escape from neighbors who turn their radios on at the highest volume, you will still hear horns and/or cars with loud speakers passing by. I also remember kids birthday parties there, where it feels like a night club because it is so loud! I think it is more for the parents who miss dancing than for the kids invited. Even babies get used to it. My daughter is a drummer for her private musical band and also at her concert band at school, and I’ve bought earplugs for her, but many times she tells me she has gotten used to it. At least I have noticed that whenever she has headphones on, the volume is low, so I guess her hearing is working fine. This is such an important topic. You can never start to early in protecting your hearing. So glad you posted this, because it is so important for parents to have this information. Noise-induced damage to cilia in the inner ear is irreversible, so if you don’t protect those little ears now, they will pay for life. Thank you for getting the word out. Thank you for sharing such valuable information! Just recently I had a situation: while my older child was placing his ear close to a speaker, the younger one was changing the volume up and down. On my audio system I am able to limit the signal level, so even the maximum volume won’t be too high. However, I was worried as my children had a moment of exposure to the loudest speaker settings before I intervened and made the adjustments. I think more people should be aware of a possible hearing damage the exposure to the loud sounds can cause. Thanks again for spreading the word! This post is so informative and a must read for every parent. My daughter often listens to loud music and I use to scold her for the same. I will surely ask her to read this post. It is very necessary to keep our ears protected from exposure to excessive noise. It is not all about listening to loud music; even our surroundings are not safe for our ears. I read a post recently, which says that Dublin port terminal is generating too much noise and is not safe for people around- http://hiddenhearing.ie/blog/excessive-noise-exposure-from-dublin-port-terminal-exceeds-who-levels/ . Just wondering how much difficult it would be for the nearby people to live in such conditions.